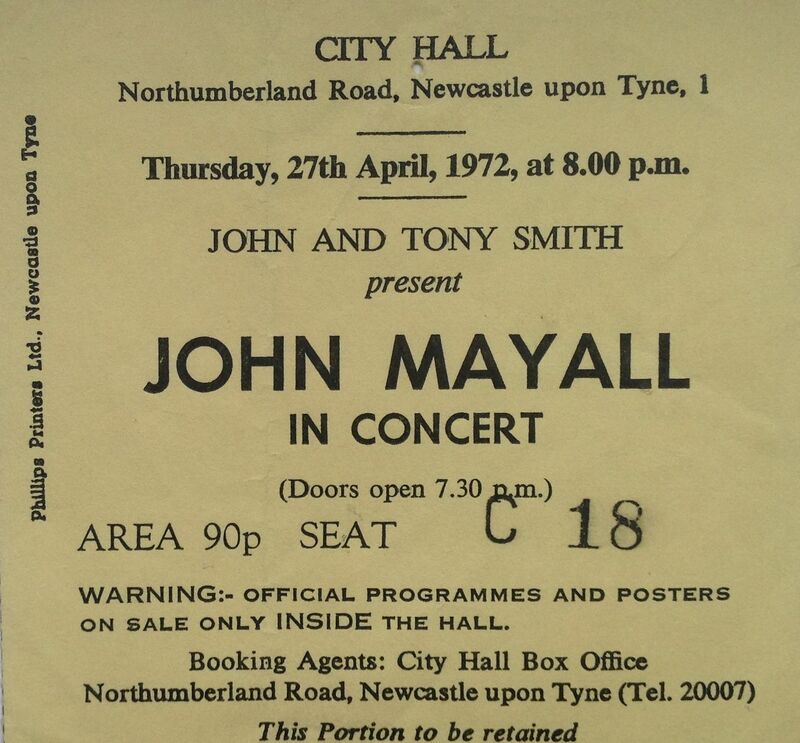 I first saw John Mayall in 1971 and 1972 at Newcastle City Hall. I had the “Hard Road” and “Bluesbreakers” lps, and played them a lot, and I was also aware of the pedigree of Mayall’s bands over the years. 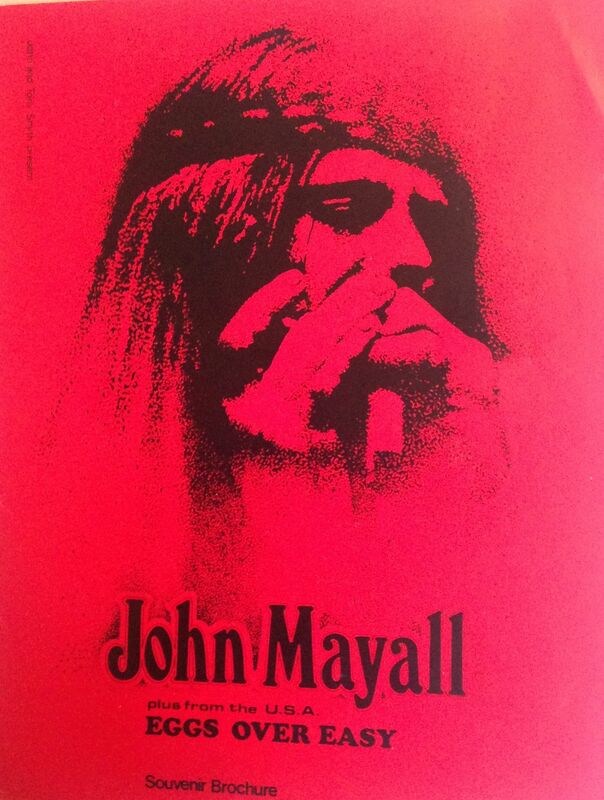 The line-up for the 1971 tour was: John Mayall on vocals, harmonica, keyboards; the young Jimmy McCulloch on guitar, Larry Taylor on bass, and Keef Hartley on drums. Jimmy McCulloch was just 18 at the time, and had already had major chart success as a member of Thunderclap Newman. Larry Taylor joined Mayall from Canned Heat, and Keef Hartley was leading his own band at the time. McCulloch was just an amazing guitarist, and went on to join Stone the Crows and then Paul McCartney and Wings. Support for the 1972 tour came from American soft rock band Eggs Over Easy, who were quite good. I’m afraid I don’t recall which tracks Mayall and the band played that night, but it was, of course, some great blues. There is a live recording of the band from October 1971 on Youtube. Mayall was back at the City Hall the following year. I’m less clear who was in his band for that concert, but think it was probably like this: Keef Hartley on drums again, John Mayall (of course), Blue Mitchell on trumpet, Freddy Robinson on guitar, Clifford Solomon on sax. This was a much more jazz oriented band than previous years. Support for the 1972 tour was Matching Mole featuring the great Robert Wyatt. I saw Matching Mole a couple of times; the other was at the Reading festival. In 1973, Wyatt fell from a third floor window during a party, leaving him paralysed from the waist downwards. From that day onwards he has concentrated his efforts into solo recordings. I remember Matching Mole as being quite avant garde and, like the headliners, they were also quite jazz-rock influenced. One of my favourite Mayall songs at the time was “Room to Move” which was played a lot in clubs at the time. The live version would come towards the end of the set and always included a lengthy and impressive mouth harp solo by Mayall. At the time I saw him, John Mayall had already been playing for many years, and of course he continues to play to this day. The great man hits 80 (!) this year, and will be touring the UK next year to celebrate. 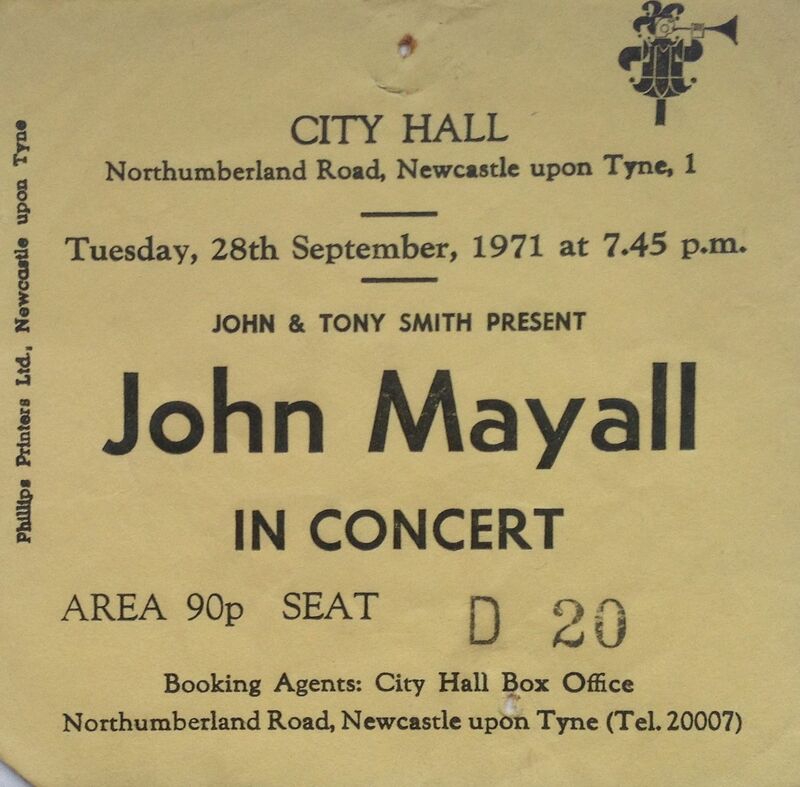 It was many years until I saw John Mayall again after these early 70s gigs. He moved to the USA in the 70s and his visits to the UK become less and less frequent. I have, however, seen him a few times in recent years, on blues package tours with Chicken Shack and Peter Green and I’ll write about those concerts over the next few days.